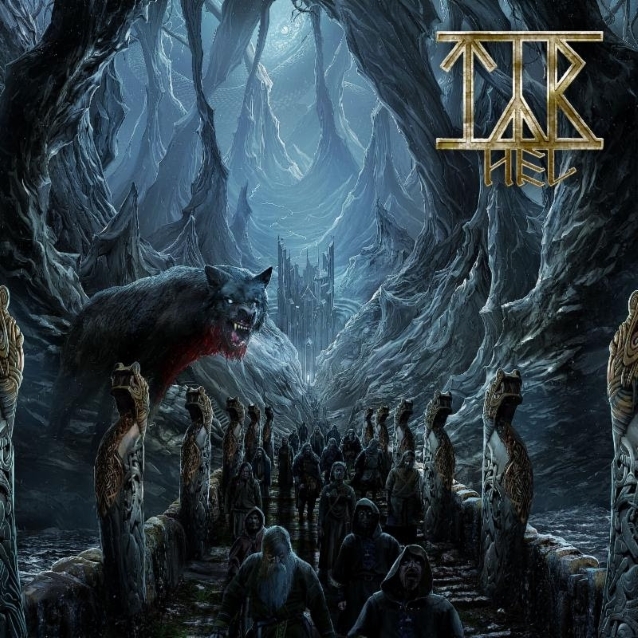 “Let’s Discuss With Lance Hall” recently conducted an interview with frontman Heri Joensen of Faroese folk metal band TÝR about their forthcoming album, “Hel”. You can listen to the entire chat below. A few excerpts follow (transcribed by BLABBERMOUTH.NET). “Hel” will be released March 8 via Metal Blade Records. The disc is a collection of ruthlessly melodic and irresistibly compelling progressive folk metal that will immediately resonate with any who have followed the group at any point over the two decades of its storied career. “Hel” was tracked entirely by Thomsen and Joensen, with sessions split between the latter’s studio in Søldarfjørður, drums laid down at Jacob Hansen‘s studio in Denmark, Skibenæs working in his home studio, and some solos and bass details recorded while they were on the road in North America.